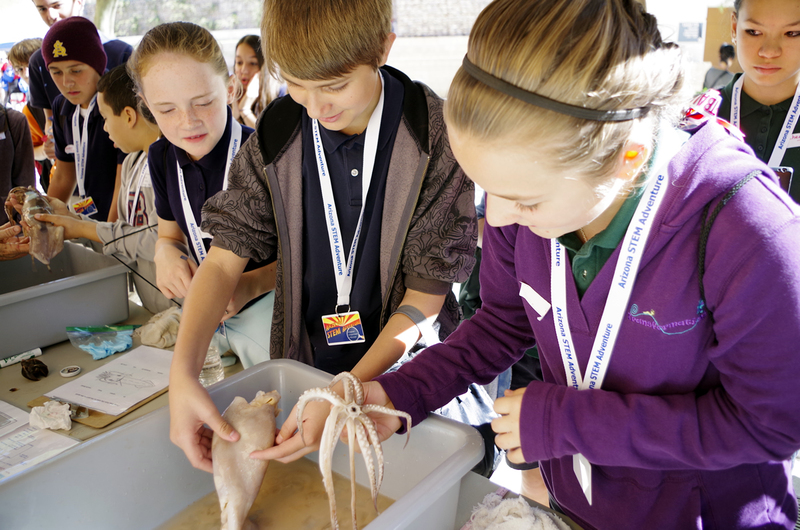 Welcome > News > SARSEF’s Arizona STEM Adventure is Coming! Join 1,000 Gr. 4-8 Students As They Discover Their Future Careers! Gr. 4-8 Teachers – apply by September 28th to make sure your students have the chance to explore their future in a STEM career. Exhibitors – we welcome your hands-on, brains-on STEM activities! Create your future workforce and the next generation of scientists, just like you! ◄ Schedule Your FREE, IN-School Outreach Now!